A Millburn student with aspirations of working in politics recently had the opportunity to meet and schmooze with politicians in Washington, D.C., when he attended the United States Senate Youth Program (USSYP). 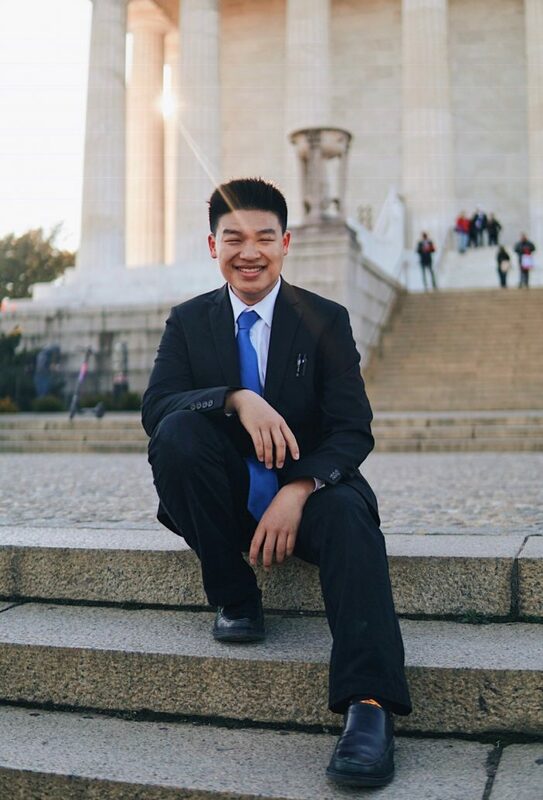 Ranen Miao,18, a senior at Millburn High School, was one of two New Jersey representatives who were selected to participate in the 57th annual USSYP Washington Week, March 2- 9. He was chosen from among the state’s top student leaders to be part of the 104 national student delegation who also each received a $10,000 college scholarship for undergraduate study. The goal of the program is to give students an in-depth view of the Senate and the federal government overall as well as a deeper understanding of the interrelationship of the legislative, judicial and executive branches. Miao heard about the program through his friend Luke Tillitski, who went on it last year. The application process took place in the fall and he had to write an essay and submit a resume, references and bio. His essay was about community service and why it is important to him. Miao is the president of his school’s Key Club and is one of twelve members of the USA Debate Team. He is an officer for his school’s High School Democrats of America club, peer leaders program, Debate team, Make A Wish club and edits for his school newspaper. He plans to study political science in college with a minor in economics or philosophy. In mid-December, he was accepted to the program, becoming the first in Millburn history. “This program just seemed like a perfect fit for me,” he said. While in Washington, students attended meetings and briefings with senators, members of the House of Representatives, Congressional staff, the president, a justice of the Supreme Court, leaders of cabinet agencies, an ambassador to the United States and senior members of the national media. They also visited many national monuments and museums. Some of the people he had the chance to meet were Chief Justice John Roberts, ABC reporter Martha Raddatz, a judge from the 10th district circuit court and Senator Richard Blumenthal (D-CT). Being able to meet these people gave him a new perspective on elected officials. He noted that Justice Roberts was extremely interesting. Hearing him talk about policy, checks and balances was quite interesting. “I think all of them brought unique insights,” he said. Miao recalled how when he first arrived, he was a bit nervous because there were so many accomplished students who had already gotten into college. However, once he got acclimated to his surroundings, he was instantly overwhelmed with where he was and who he was with.